We are searching for qualified and ambitious OTR drivers for our regional work. We service the food industry using 53' reefer trailers. Newer Trucks- less than 3 years old. All trucks have an Ipad for easy GPS and Elog. No Heavy lifting- No Touch Freight. Our drivers are usually out about 3-4 weeks, back in CO often! Call today to discuss a schedule that will work you! Our drivers average 2600- 3000 miles per week. We offer a competitive wage of .50/mile, direct deposit set up for our drivers and 1 week paid vacation. Safely Drives truck hauling a 53' reefer trailer to transport temperature sensitive freight. 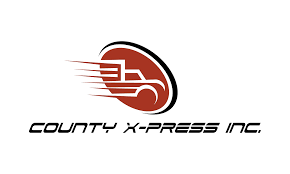 Job Position/Title Class A OTR Regional Driver- .60CPM if you start this week. Please describe the job in detail We are searching for qualified and ambitious OTR drivers for our regional work. We service the food industry using 53' reefer trailers. Newer Trucks- less than 3 years old. All trucks have an Ipad for easy GPS and Elog. No Heavy lifting- No Touch Freight. Our drivers are usually out about 3-4 weeks, back in CO often! Call today to discuss a schedule that will work you! Our drivers average 2600- 3000 miles per week.